White Party Time in Bangkok! Asia’s Big New Years Eve Party will take place in Bangkok over 4 nights. The New Year is when many of us want to celebrate and have a Party. Bangkok will host Asia’s big Gay Party this year with 15,000 of us expected to welcome in the New Year. For the last few years, the White Party in Bangkok has been running over the New Year period and is one of three big dance festivals in Bangkok (and nearby Pattaya). The big Thai New Year/Songkran parties are held in April and this year saw the first Circuit Festival Asia in Pattaya from the Circuit Barcelona in Europe Group in June. This year’s White Party, which will run December 28-31st, will host five parties (including one day-time party) and culminate in the big New Year’s Eve Party – and it looks to become the biggest yet with a top line-up of Local and International DJs and an extravaganza of entertainment. Fridae’s Music Editor attended all of last year’s parties (lucky him!) and is particularly excited by this year’s White Party, given the DJ line-up and the expected extravaganza to welcome in 2019 – indeed, top International DJs, including Sagi Kariv, (Israel), Nervo (Australia Duo), Dan Slater (Australia), Tommy Love (Brazil) and Suri (Spain) as well as Thailand’s own Spectrum K. Many of these DJs are not just DJs but also produce many of the Party Anthem remixes from the Divas we love - and in some cases original Dance hits. The DJ talent is amazing for this event but Fridae wanted to highlight two DJs from the New Year’s Eve Party on the final night. We are really pleased that Thailand’s own Superstar DJ - Spectrum K - will be spinning for the first time at the White Party. Spectrum K is the resident DJ at G Bangkok (GOD) and spins at the parties all over Asia. He is well known for his amazing energy and can always be relied on for playing the great anthems. 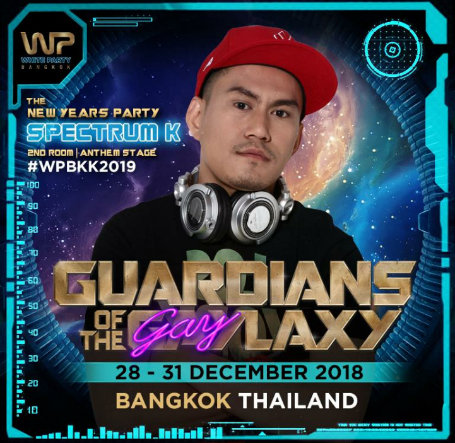 The DJ talent is amazing for this event but Fridae wanted to highlight two DJs from the New Year’s Eve Party on the final night.We are really pleased that Thailand’s own Superstar DJ - Spectrum K - will be spinning for the first time at the White Party. Spectrum K is the resident DJ at G Bangkok (GOD) and spins at the parties all over Asia. He is well known for his amazing energy and can always be relied on for playing the great anthems. 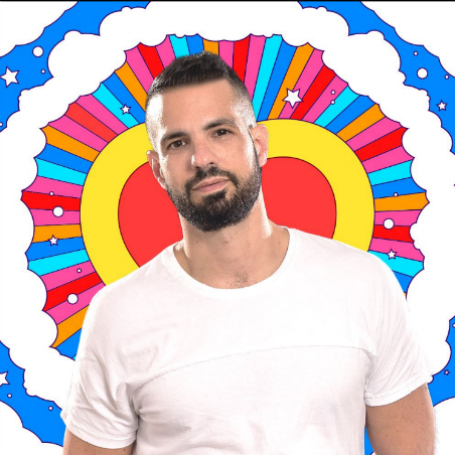 Topping the bill on the final night is Sagi Kariv from Israel - one of the world’s top DJs and the producer of some great original mixes and remixes. Fridae has put together an in-house party anthems mix, including mixes and remixes from most of the DJs playing - to help get you in the mood and maybe support you in your gym routine to get ready! We understand from the organisers that tickets are selling quickly and more information on all the parties and events is on their site. There are also podcasts from some of the DJs playing. Be the first to leave a comment on this page!